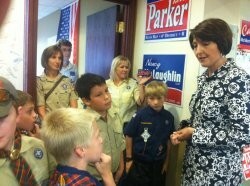 Republican Rep. Cathy McMorris Rodgers yesterday joined Speaker John Boehner and several dozen Republicans to buck the bitter feelings and vote with Democrats in passing yesterday's spending cuts/tax raise deadlines, commonly known as the "fiscal cliff." Rep. Raul Labrador of Idaho, however, joined the majority of House Republicans in voting against the deal (If you're the type who loves to pore over roll calls, pore away). Before everyone celebrates, here's a quick graph (below and here) showing the benefit we would have gotten by going over the fiscal cliff. 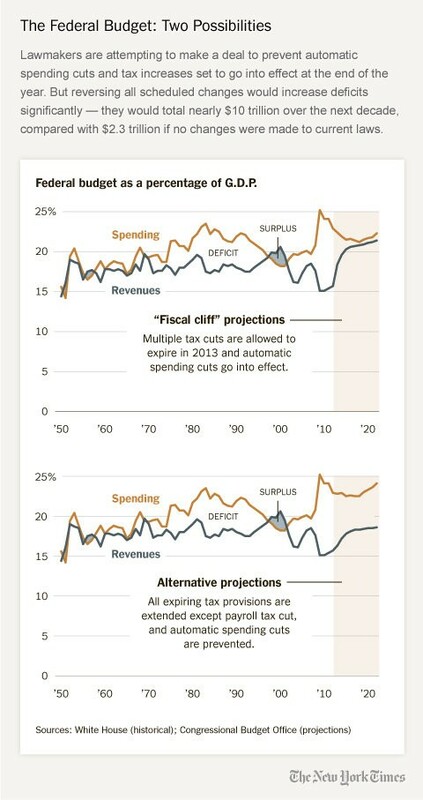 There might have cost another recession, but the spending cuts and revenues gains would have actually paid our bills, something Congress itself is generally only able to avoid.